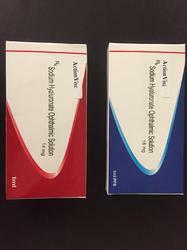 Our range of products include actionvisc sodium hyaluronate. We are a leading manufacturer of Intraocular Lenses and Ophthalmic Devices in India. Our manufacturing acility is ISO 13485:2016 certified while some of the products are CE certified. Our products are exported to 26+ countries across the world.